Now then, is an exhibition that explores time experientially, conceptually, and globally. 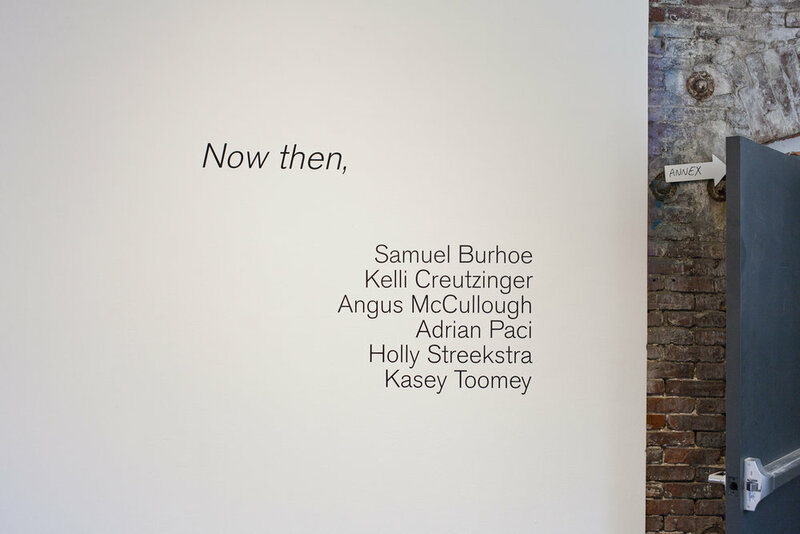 The artists in Now then, —Samuel Burhoe, Kelli Creutzinger, Angus McCullough, Adrian Paci, Holly Streekstra, and Kasey Toomey— explore the theme through temporary sculpture, ephemeral realities, historical representation, and personal memory. Through a variety of materials and means, each piece catalyzes a transformation, becoming a physical representation of the passage of time. Little Berlin will be offering an evening of films about boats and ships. 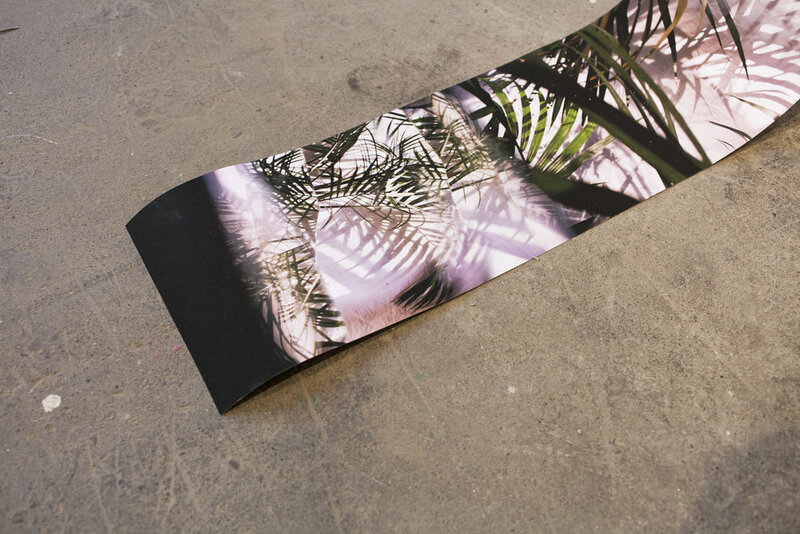 Kelli Creutzinger is a Philadelphia based artist focused in analog photography, printmaking, and installation. Through her work she strives to meld the ethereal world and earthly world together to create a dreamlike state that feels surreal yet tangible. Angus McCullough is an artist working with sculpture, video, writing, drawing and improvised music. He studied architecture and philosophy at Wesleyan University, and his projects focus on the structures of time, linguistics, intuition, and dreaming, among other zones. His exhibitions are often installations, and his work has been shown in the United States and in Europe at venues including The Bronx Museum of the Arts, the Bennington Museum, AA|LA, Burlington City Arts, Buoy, SPACE Gallery, Roman Susan, and The Lust Gallery. He has been an artist in residence at the Vermont Studio Center, VCCA, BOXO Projects, and ACRE. He grew up in Brooklyn, NY, and currently lives and works in between Vermont and California. 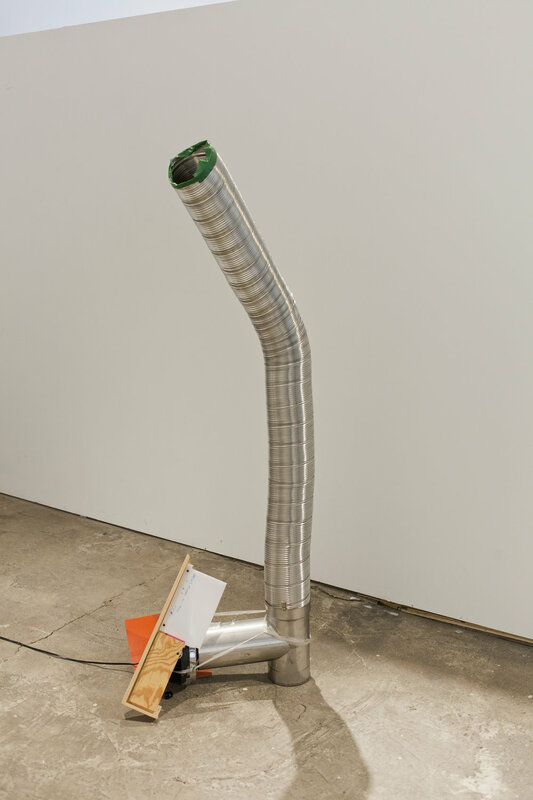 Holly Streekstra is a sculptor and installation artist who employs multiple modes and forms of expression. With a background in theater, sculpture, music, and dance, her work has explored perception and make-belief to investigate our inner subjective states and psychic vulnerability in the contemporary world. She is especially interested in the willing suspension of disbelief and our capacity for doubt. Streekstra has participated in many group exhibitions and residencies in the United States and abroad and has received several awards. Her work has been shown at SooVAC, Minnesota Museum of American Art, and Franconia Sculpture Park, in Minnesota; the Invisible Dog, Brooklyn; and the Good Children Gallery, New Orleans. She was a 2016 Jerome Emerging Artist Fellow. In 2013, she was a Fulbright Scholar in Hungary. She holds a BFA from the University of Minnesota Twin Cities, and an MFA from Louisiana State University. Kasey Toomey is a multi-disciplinary artist and designer based in Philadelphia. He is pursuing an MFA at the University of Pennsylvania. He is currently a resident artist on a private farm in NewJersey. Toomey has been a resident artist at RAIR and the Vermont Studio Center. 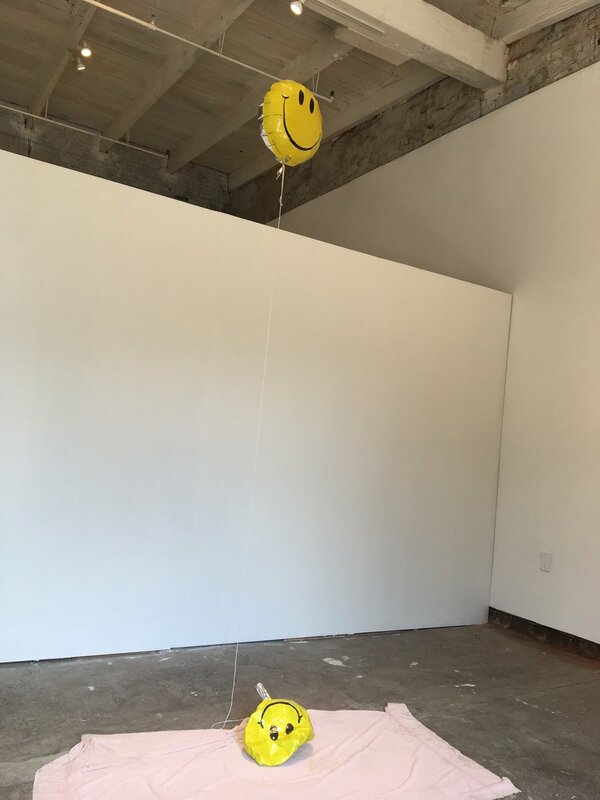 His first solo show was at Practice Gallery in June. He has exhibited in group exhibitions at High Tide, Tiger Strikes Asteroid, Little Berlin, Delaware Center for the Contempory Arts, and Delaware County Community College. Since the early 1970s, Allan Sekula’s (Erie, Pennsylvania 1951) works with photographic sequences, written texts, slide shows and sound recordings have traveled a path close to cinema, sometimes referring to specific films. However, with the exception of a few video works from the early 70s and early 80s, he has stayed away from the moving image. This changed in 2001, with the first work that Sekula was willing to call a film, Tsukiji, a “city symphony” set in Tokyo’s giant fish market. Sekula’s books include Photography against the Grain (1984), Fish Story (1995), Dismal Science (1999), Performance under Working Conditions (2003), Titanic’s Wake (2003), and Polonia and Other Fables (2009). These works range from the theory and history of photography to studies of family life in the grip of the military industrial complex, and in Fish Story, to explorations of the world maritime economy. The Forgotten Space is a filmic sequel to Fish Story. Born in the USA (San Francisco) in 1932, Noël Burch has been living in France since 1951. He graduated from the Institut Des Hautes Etudes Cinèmatographiques in 1954. While primarily known for his theoretical writings, he has always positioned himself as a filmmaker and has directed over twenty titles, mostly documentaries. Burch has been publishing since the 1960s. Among his numerous publications are his first and best known book Theory of Film Practice (New York: Praeger, 1973) and To the Distant Observer: Form and Meaning in Japanese Cinema (Berkeley, 1979), which remains the most robust history of Japanese cinema written by a Westerner. From 1967 to 1972, he collaborated with Janine Bazin and Andrè S. Labarthe for the celebrated series, Cinèastes de Notre Temps, and directed seven programs which are considered to have renewed the “film-maker portrait” in the heroic years of French public television. It was during that same period that Burch was co-founder and director of the Institut de Formation Cinèmatographique, an alternative film school associating theory and practice. SUPERFLEX was founded in 1993 by Jakob Fenger, Bjørnstjerne Christiansen and Rasmus Nielsen. 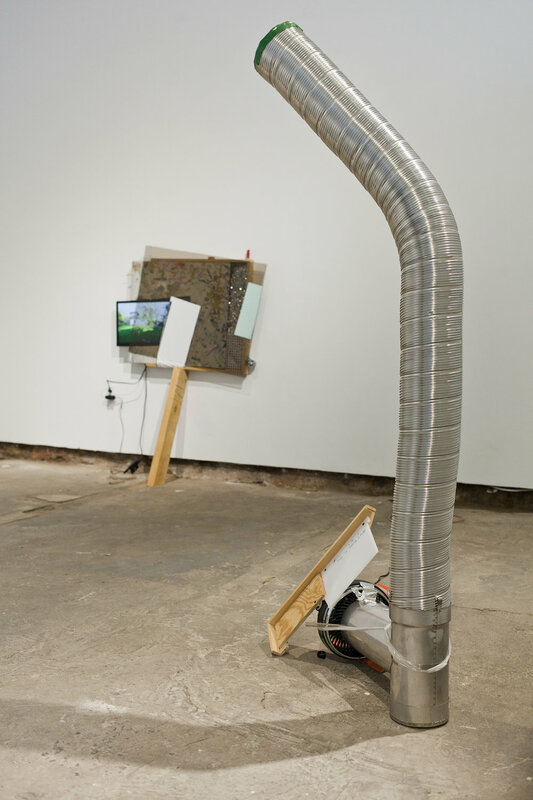 With a diverse and complex practice, SUPERFLEX challenges the role of the artist in contemporary society and explores the nature of globalisation and systems of power. They are known for art works with wit and subversive humour that address serious social and cultural concerns. SUPERFLEX describe their works as tools - thereby suggesting multiple areas of application and use.